One of my very first blog posts written a few years ago for The Huffington Post was about celebrating the Fiestas del Pilar in Zaragoza, Spain. Every October, Zaragoza celebrates with a massive fiesta in honor of their patron saint, the Blessed Virgin Mary, Nuestra Señora del Pilar. It is a magical time to join in on the festivities with parties in the streets and to watch the spectacular display of vibrant traditional clothing that parade along the streets of the city center. I was delighted by the beauty of the people, especially the children, their smiles and the flowers that later piled up high near the Basílica for ¨The Offering of the Flowers¨ to the Blessed Virgin Mary. Last night (a few years later), I celebrated differently at the local 17th century Baroque church in Teruel, la iglesia de San Andrés. Along with the townspeople, the Bishop of Teruel as well as the traditional Aragonese Jota group Amigos de la Jota, we all paid tribute and honored la Virgen del Pilar. As I made my way to the church through the medieval streets, I could hear Amigos de la Jota waltzing and singing on their way to the church. 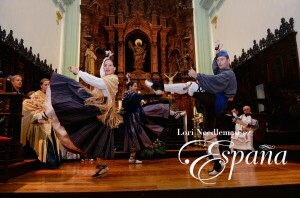 Inside the softly lit 17th century church, they paraded down the main isle dressed in traditional clothing. The singers walked onto the main alter, while the guitarists went left and the dancers went right. With a packed congregation, they sang facing the Blessed Virgin Mary´s alter. First, the young girls sang together and then a young woman whom I have known for years sang a beautiful jota. Afterwards, flowers were placed upon la Virgen del Pilar alter and then the dancers took center stage and began to perform some Aragonese jotas. They moved with such ease to the very fast-paced songs. 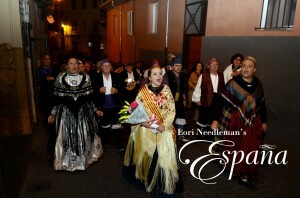 Jota is a genre of traditional folk songs and dance that dates back to the 18th century and is believed to have originated from the region of Aragón. The singers sing about their patriotism, religion, love, and even advice on marriage. The dancers are paired and dance complex moves in triple meter with their heels and play castanets, which are hand percussion instruments. Enamored by the moment to witness a part of Spanish culture, I cried a little. 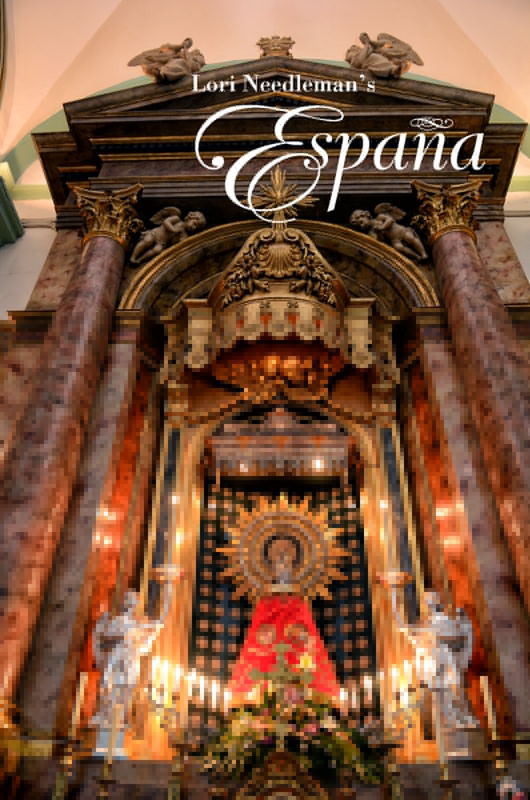 For more on celebrating Nuestra Señora del Pilar, go to my Huffington Post blog here: Fiestas del Pilar in Zaragoza, Spain. 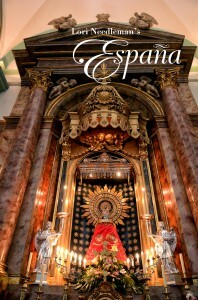 Share the post "Celebrating la Virgen del Pilar"
October 13, 2014 in Culture, Fiestas, lorineedleman.com.